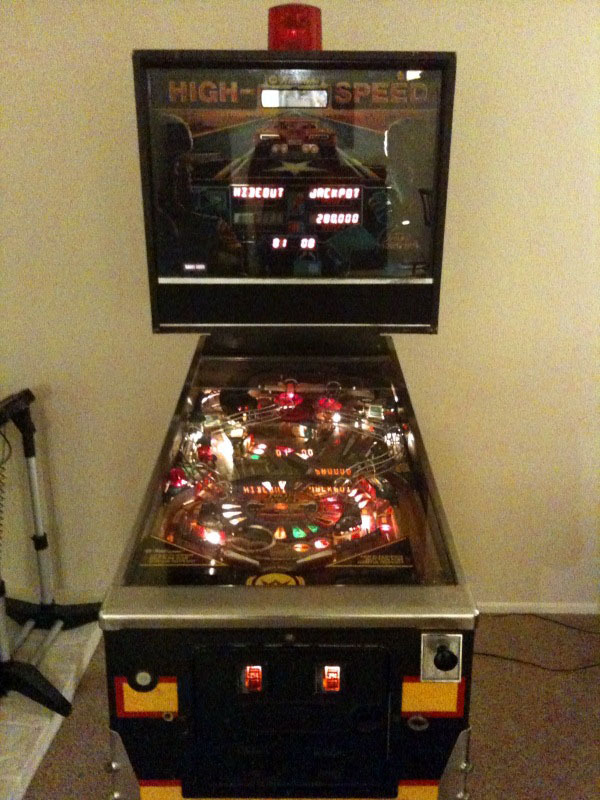 First off, I got the pinball head installed on the body. The machine powers up just fine, a handful of lamps are out and the rubbers are in terrible shape. The most significant problem is the upper right flipper is out. The play field is a mess, doesn't look like it has been cleaned in a long time. Fortunately clean up is easy with Novus 2, there is some serious damage to the paint in the middle of the play field, there probably isn't much I can do about it.